Dacia has revealed its intentions concerning this year’s Motor Show in Frankfurt. It will be open for the press in a week. The Romanian automaker is going to introduce the Easy-R automated manual transmission. This innovation will equip the Sandero, Sandero Stepway, Logan and Logan MCV. It will happen towards the end of 2015. The model under consideration will ride with the TCe90 petrol engine. It is able to push out 90 hp (or 66 kW) and torque of 140 Nm (or 103 lb-ft). Its average consumption of fuel stands at 4.9 litres per 100 km. The automated gearbox works with electromechanical actuators that are controlled by computer. They perform a surrogate role for the one who drives the vehicle. These actuators change gear, declutch and re-engage the clutch. There are two available modes at the moment: Manual and Drive. Obviously, they provide different modes of changing the gear. The producer assures that all its engines meet the requirements of Euro 6 now. From now on all of them will benefit from a start-stop set-up along with braking energy recovery. 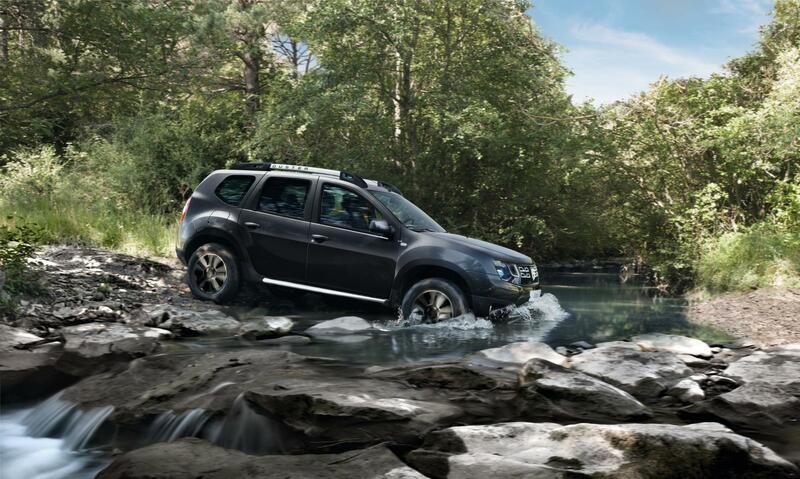 Frankfurt’s display will show the latest Duster Edition 2016. It boasts black diamond-effect alloy wheels. They measure 16 inches. Besides, it will be painted in a new Altai Green colour from the outside. In the cabin you will find new trim options. Meanwhile, the entry-level offering will be sold with Silicon black upholstery. Besides, vehicles with higher specification will boast Féderer black or grey.